CMH Renault Midrand would like to extend our heartiest congratulations to Ndumiso Madlabinga who has been appointed as Renault Midrand’s manager. 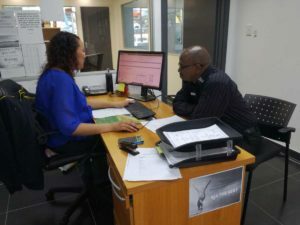 Ndumiso comes with years of experience in both the sales and motor industry. Ndumiso has been in the motor industry for 12 years. His career started as an evening sales executive which awarded him a seat in the sales cadet programme in the year 2007. In 2010, he was promoted to sales manager and has been exposed to various brands ever since. Ndumiso joined CMH Renault Midrand’s family in August of 2018 and he now leads a team of 4 brilliant sales executives who are looking forward to learning as much as possible from him as he passes his knowledge on to them. Ndumiso is a self-motivated leader with very good inspirational qualities and is very persistent in reaching his targets. We are looking forward to build on a brighter future with him and his incredible team. We have no doubt that he will excel in his new position and brand. 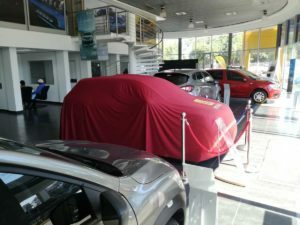 Congratulations again Ndumiso, we look forward to delivering more cars with you. Visit our dealership for greats specials. We are based at 145 New Road, Midrand or alternatively contact Ndumiso on 011 238 6000 to discuss further.